I had just turned 21 two weeks before my husband and I got married. All the stars had aligned and we knew God had brought us together. With stars in our eyes and an extra pep in our step we just knew we were about to live a life time of wedded bliss. We had the most beautiful and peaceful wedding ceremony but it didn't take long for us to realize that the only things we had in common were our love for God, working out and cookies & cream ice cream. Luckily for us we both loved God and that is the one thing that has held us together 9 years later. By the grace of God we found Marriage Today ministries and started attending Gateway Church and God began to bring healing and restoration that only He can bring. My heart hurts to think of where we might be if we hadn't asked God to intervene. 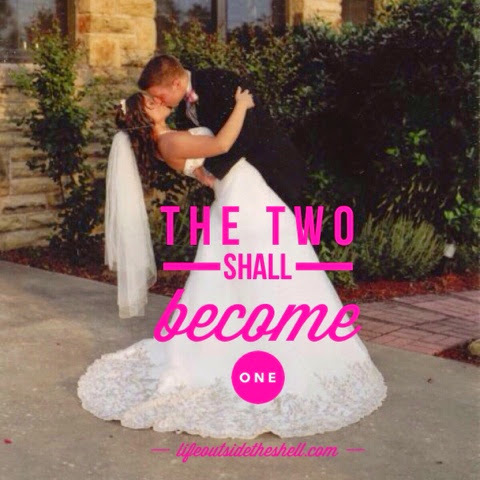 Because of our story we have a passion for marriages to not only survive but to thrive. In my years of learning how to be a wife God taught me to honor my husband with my words. I started doing this in private just to him then God put it on my heart to honor him publicly. A few months ago God gave me the idea to start a #marriagemonday on Facebook and much to my surprise several of my friends started doing it. I have had several people send me private messages letting me know how much God is doing in their marriage simply by them honoring their spouse. God put it on my heart about a month ago to start a blog linkup for Marriage Monday but I have argued. Some of my arguments were that no one will do it, we will appear to be "bragging" and I don't even know how to host a linkup! While God didn't argue back he did make me increasingly more aware of how desperately our world needs to have Godly values put back into his original design for marriage. My hearts desire is that marriage is looked at as something beautiful that God loves rather than something that looks like a prison cell. While I recognized the need for this to be something so much bigger than my Facebook friends I still wasn't convinced that I should be the one to start it(yes, me, the life outside the shell girl...I struggle too!). BUT then I attend The Declare Conference and God spoke to me in a way that was so clear. I could write a book on everything God taught me at the conference but the main thing God spoke to me was "It is not about you. Get over yourself, step out in wild obedience and have a kingdom perspective." Without a kingdom perspective we will NEVER do anything that puts us in a position of looking stupid or being vulnerable. It is only when I rely completely on God that I can move forward without hesitating and be all he has called me to be. Marriage Monday is a way for us to honor our spouse and God by speaking life over our spouse rather than complaining about everything that is wrong. 2. Post a status update on Facebook honoring your spouse. Again make sure you put #marriagemonday! 3. Share the #marriagemonday vision with your friends. My heart behind Marriage Monday is not to exclude the singles but instead to highlight the value of marriage. 4. Honor your spouse in private. Even if you don't participate in any of the social media outlets the effort of focusing at least one day a week on our spouses positive attributes will change our attitude in marriage. 5. 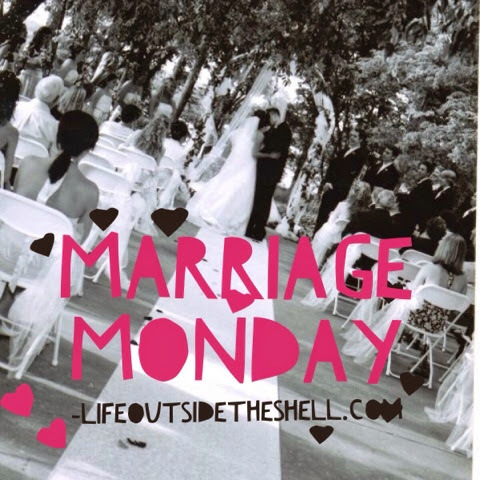 Linkup to this post(and future Marriage Monday posts) with a blog post about your marriage story, a marriage resource you love, pictures of you and your spouse, or anything pertaining to marriage that will encourage others! If you are single feel free to linkup a post about what God is speaking to you in this season! God is certainly moving. I started a #MarriageMonday hashtag on my FB page a few months ago and the response has been incredible. I, too, struggled with "should I do this?' "will people even care?" Bravo for your bravery and for stepping out. I'm linking an old post but will come back and support regularly!